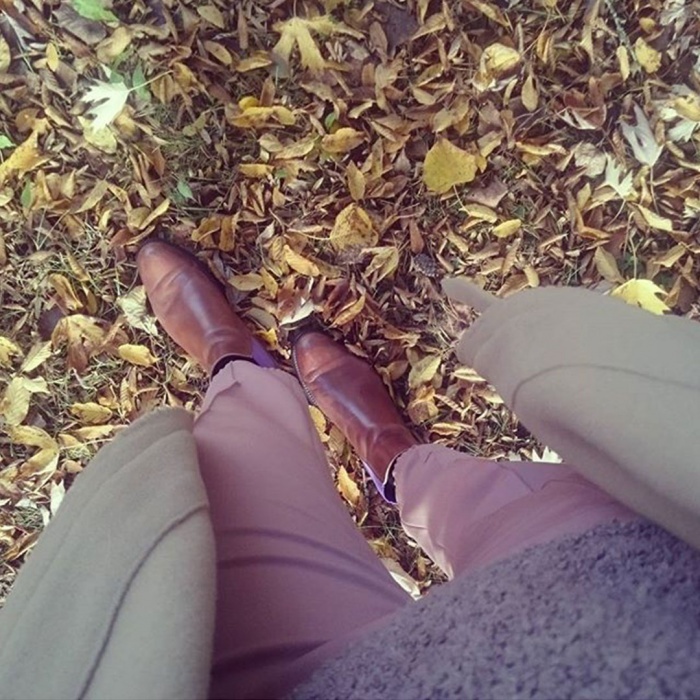 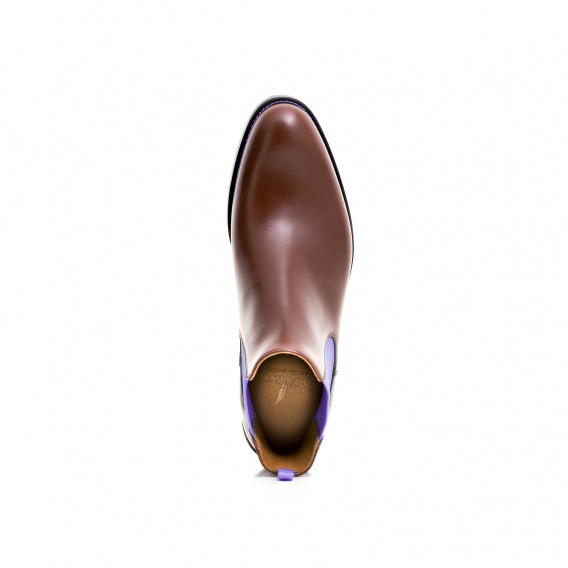 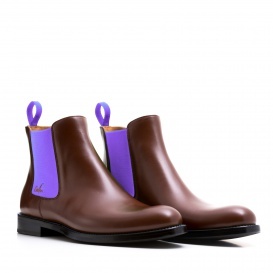 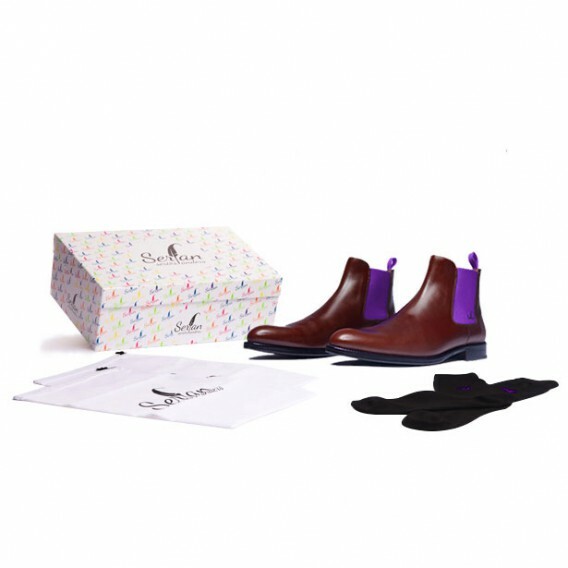 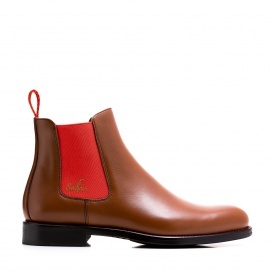 The Chelsea Boot in brown with its purple-coloured sandex inserts can be worn with every outfit, whether casual or business. 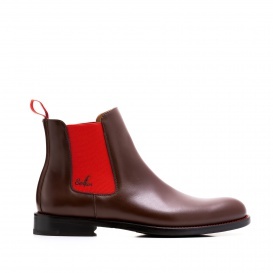 Combine these boots with a grey skirt and a vest in aztec pattern. 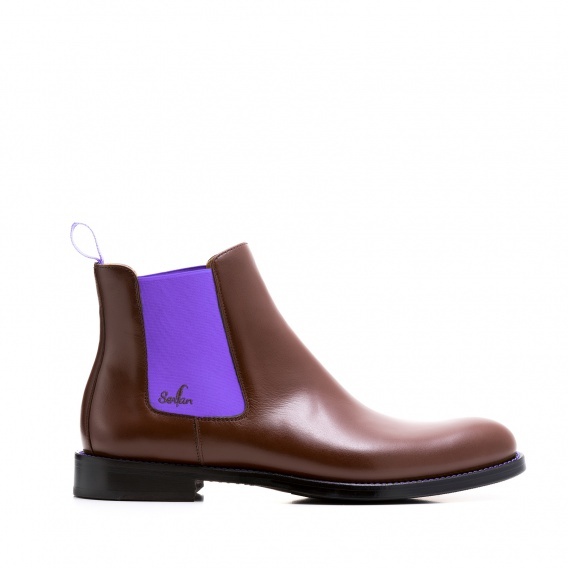 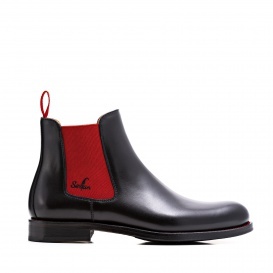 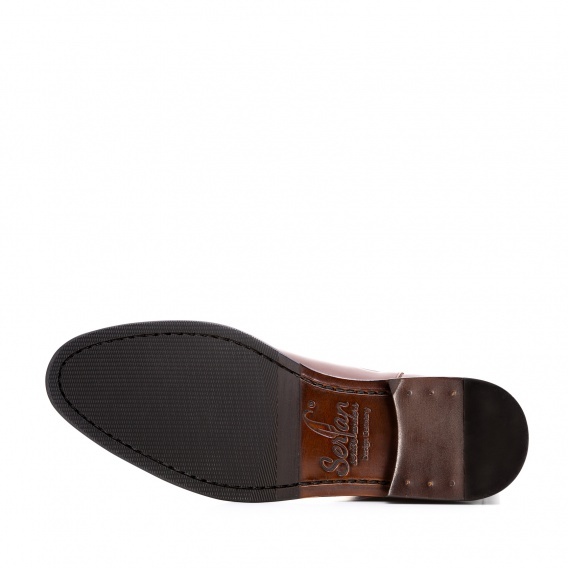 Thanks to the elastic bands and the soft leather this boot will fit perfectly.